Just before the Microsoft Surface Pro 3 took off and became a huge hit, there was talk that Microsoft was going to ax the whole Surface division. But the Surface Pro 3 ended up being named one of the top 25 inventions for 2014 by Time, and we just named the Surface Pro 4 the best tablet for 2015. 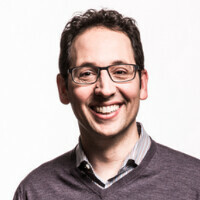 According to Microsoft CMO Chris Capossela, Microsoft needs such a breakthrough with its smartphones. The executive points out that while Surface "had a bunch of early misfires," the team eventually had a breakthrough thought. In this case, that was the idea that ‘Hey, Apple wants to sell you an iPad and they want to sell you a Mac. We think there’s one device that exploits the seam between those two devices.’ Capossela says that the Windows Phone team needs to have a similar moment. According to the executive, Microsoft is aware of its place in the smartphone eco-system. He confirms that the Microsoft Lumia 650 is real, and is coming. He also says that as far as Microsoft is concerned, this coming year will be about the enterprise when it comes to phones. While he didn't come out and say that a Surface phone is coming, Microsoft's marketing chief is saying that the road to a successful smartphone business for Microsoft travels the same path already taken by Surface. Kickstand is ugly but I'll take a Surface pen. Taking a picture edit on adobe and then hook your phone to your continuum set up and boom. My wallets will be empty. Regarding the kickstand, good thing it vanishes when not in use. I think it's fine, but then again, I value uses in a tool a whole lot more than meh aesthetics (it'll most like still be going in a case). Eitherway, yeah, such device ideally will replace most people's needs for SmartPhones/Phablets/Tablets/Laptops/Desktops, but that's gonna require a lot of hard work and time. So many missing components that haven't even been seen in today's SmartPhones, but one can hope...only time will tell what magic Panos Panay has casted on the Windows Mobile team. Yesss!! Give me Metal give me a Surface 4 better yet a Surface Book 5.7 in size custom GPU and iris scanner same Lumia 950xl camera, last but not least a continuum wireless dongle for my Home entertainment set-up. I will buy the hell out of that. Also squash the bugs in Windows 10 mobile.. CLAP CLAP CLAP CLAP Viva la Microsoft. You "will buy the hell" out of what?? Watch your language, man! "hell" isn't a bad word!!??? I mean I would buy the Panos Surface Phone the future of mobile mine 950 was a bridge and the Panos phone is the pot of gold at the end of the rainbow! The future for surface book and pro is bright especially now that components are getting slimmer, smaller and faster. Give me a surface book with an nvidia gtx 960m with 4gb ddr5 ram and I'll be more than happy for 3 years. What, are they working toward the break-even point in hardware? I'm sure that frightens Apple, Google, and Samsung. Over night, well over a year, a game changing phone can literally turn the tech world upside down. Especially in the business world. The note phones are popular not because of the screen size, but because business people use it for everything. Well almost, they still need that laptop. So having a pc phone, one that is actually billed and works as such, can run legacy apps, even if only one at a time, is huge. No more, well im out of the office, away from my laptop. Bosses can be like, b*tch I got you a pc phone you can work while we talk, get that PP or Excel file finished. Most business travel hotels have pc desks etc. so having a display dock and a wedge size mouse keyboard (great products), would be great for the business man on the go. And if it let me install mech commander on my phone...dude im sold. Microsoft has to not be moronic when it comes to selling their phones. They only allow one of their new phones to be sold on one carrier. (Lumina 950) The 950xl is only available at the Microsoft Store. I wound up buying the LGV 10 as a result. I'm not switching carriers for a phone. I had to settle for a substitute on my carrier, which is no good for Microsoft when their users realize they can be happier with other devices. You can buy unlocked phones online from the Microsoft Store. You weren't forced to buy the LG. You didn't try all avenues to get the Lumia. First off, stop with the stupid carrier exclusives. The carriers arent your target audience. We are. I am currently an andriod user, but I am a winmo convert and would be glad to give then another shot with the 950 if it wasn't exclusive to att. AT&T has the highers number of Windows Phone users. Verizon barely update WP devices, and takes unacceptably long to update! Heck, isn't it logical to ditch carriers who have never proven to be good partners? Who said anything about partnering with them. Pull a moto and release your phones for all carrier use. isn't it more logical to ditch all carriers to begin with? They did just that, you can buy both their phones. Verizon is just on old outdated networking. It was both companies fault but in the end, MS went with the Global spectrum ease. Not exactly, moto managed to create an unlocked and all carrier device. So why can't Microsoft? Even with Verizons archaic technology. But, that archaic tech makes of half the nation's user base so it's smart to make a device that can just be bought off the MS store and run on any carrier. Because its extra time, as well Verizon gets to control certain things. As well, Nexus lines are entirely different as well as Moto. Verizon has been Moto's partner since their first android. Verizon spent hundreds of millions marketing them. So it makes sense their relationship is a tad stronger than MS devices on their network. It is not black and white. Remember Verizon didn't want iPhones either, they gave in because people literally jumped carriers for a phone. It's not entirely exclusive to at&t, as you can get it unlocked from the Microsoft Store - online and in-store. Same applies to the 950XL. I agree having it available through the carrier is very convenient, especially with financing being an option instead of all upfront. I'd probably own a 950XL by now if T-Mobile carried it. Yeah right.. they already put proper OS inside Surfaces, all they need is put proper OS inside their smartphones.. but before that they need to make that "proper OS"
This is all nice and everything, but without app developer support they aren't going anywhere. You can design the best looking phone, but no one is going to buy it with a empty App Store. That's what people have been saying since 2010, and still it hasn't come to pass. 600k+ apps say otherwise. Just because not every bank or every game is on the store just yet, devs have been coming. And every day apps are switching to universal simply for the pc if nothing else. For what I use, I have the apps I need, and my cheap tablet pulls off blustacks if I absolutely need an android app. There may be 600k+ apps, but Microsoft has the lowest quality apps by a long shot. All of the app stores suffer from derivative and rip-off garbage, but so many of the apps in Microsift's market are poorly coded junk that the app situation is much worse than people realize. I tried, multiple times on multiple flagships, to use Windows Phone, and it is just not ready for prime time after 5 years. It's pretty bad when Google, who prioritizes ad dollars over everything else, won't make apps for Windows. Not tat I use any of their services, but the fact that they are missing from Windows mobile devices is still a giant "KEEP OUT" sign for developers. No one even knows I don't have a windows device. All my services work. I can facebook (beta is great), I can instagram (6tag), Tubecast makes youtube official look old and clumsy, I can email. I can word/excel/pp. Yes quality of apps will very, there is only tiny tiny features that make it lesser that I would never use. Like for instance, changing the facebook profile picture, mine doesn't change, but the website lets me so its not like I CANT. My bank is all online, no need for app. There is just so few situations where the android app actually does something 'useful' that I go 'crap I need to pull out my z3'. For others that is not the case, I would argue that my usage represents a far larger normal audience than any tech person on here. And not a single droid user to date that I have met in person, does a single thing that I cant do, other than games, clash of clans (not my game style to begin with though so im good, but I want it for others to enjoy). And like most tech people, their phone is not the only source of computational power, almost everyone wants a tablet when they come in. Children to adults, I have an 8in pc tablet, if I truly needed that android app, I have it, which solves the above problem. And considering I can do things on my pc that android CANNOT, then in reality, a pure android user is at a disadvantage not me.